Residents from the Sundre area met Friday night to talk about bear management and get answers to questions about the grizzly that attacked and killed a local hunter. Wildlife officials from Alberta Sustainable Resources were on hand to answer those questions and educate people about bear awareness. The meeting was called by the community after 48-year-old Robert Wagner from Didsbury was stalked and killed by a female grizzly while out hunting. Wagner's family reported him missing on September 30, when he did not return home from his hunting trip. 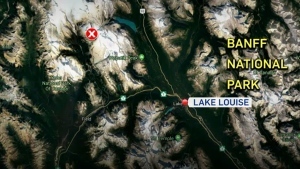 RCMP officers and search crews with the Sundre Volunteer Search and Rescue Group launched a search and discovered Wagner's vehicle on highway 22. Robert Wagner's body was discovered in a wooded area about 130 Km north of Calgary on October 1. Investigators say a female grizzly with three adolescent cubs stalked and mauled Wagner. Fish and wildlife officers tracked down the female grizzly and shot her from the air late Friday afternoon. Her 3 cubs are still at large and officials are now focusing on trying to catch them. "We know the area that they're in and we are moving traps into the area and we will try and trap those bears," said Duncan MacDonnell, Public Affairs Officer with Alberta Sustainable Resource Development. If the cubs are captured they will be assessed and then relocated to a remote area. For information on Alberta Sustainable Resource Development initiatives click on the link.